Summertime eating is all about fresh and light fare. Here is an easy meal to prepared in less than 20 minutes and is perfect for those “Meatless Monday Meals”. Enjoy! 24 small (1/2 inch thick) slices country style bread (i.e..
1. Preheat oven to 375 degrees. Toast the bread until golden brown and remove from the oven and set aside. 2. Heat oil in skillet over medium heat. 3. Saute onions, until translucent. 4. Add chopped mushrooms and saute 3-4 minutes. 5. Add wine and increase heat to high and cook stirring until liquid has evaporated (5 minutes). 6. Add thyme, salt and pepper. 7. Add cheese to the skillet and stir until slightly melted. 8. 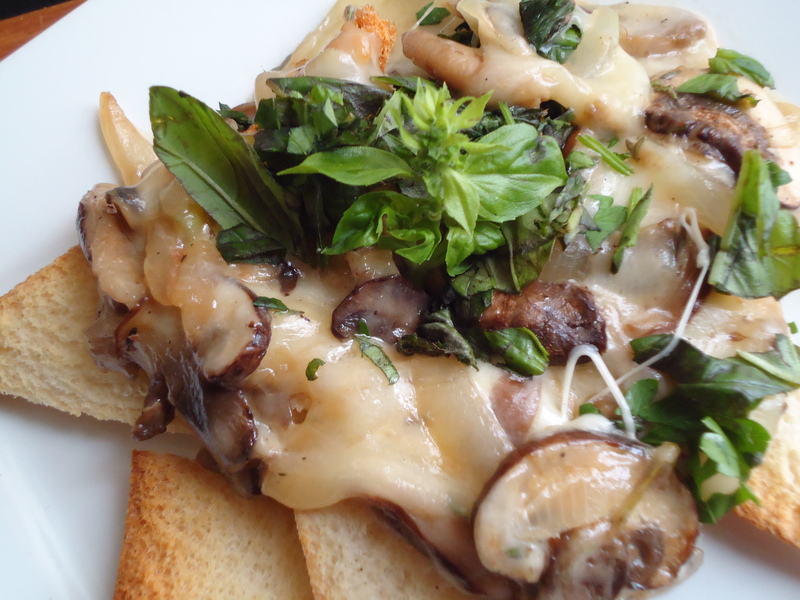 To serve, top each slice of bread with mushroom and cheese mixture. Sprinkle with parsley and basil. 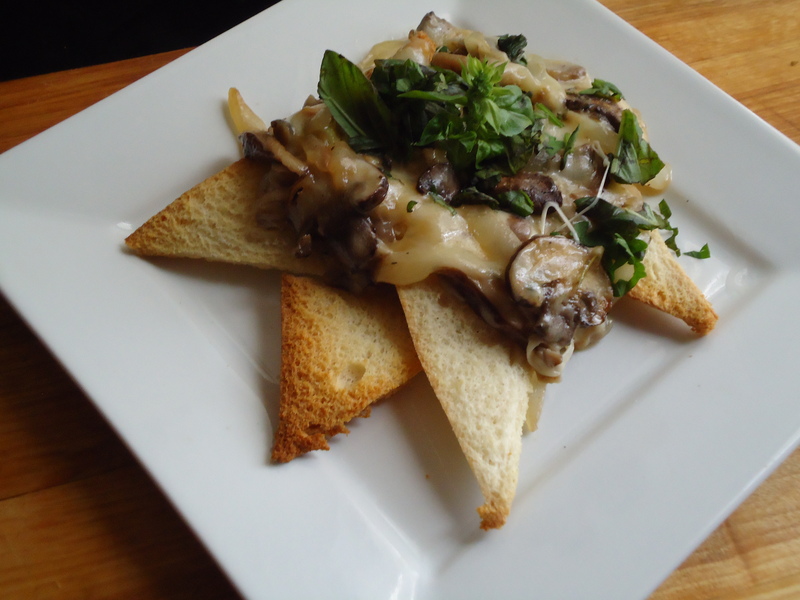 This entry was posted in Appetizers/Starters, Main Dishes, Vegetarian and tagged baby portabello mushrooms, Basil, Bread, Button Mushrooms, Cremini Mushrooms, Flat leaf Parsley, Ground black pepper, Havarti Cheese, Mushrooms, Olive Oil, Onion, Oyster Mushrooms, pepper, Porcini Mushrooms, Provolone Cheese, salt, Shitake Mushrooms, Thyme, Toast Points, White wine. Bookmark the permalink.